It’s called jazz singing today. Back then they called it Billie Holiday. Ahead of Lady Day’s 100th birthday this Tuesday, April 7, music lovers are extoling the virtues of the pivotal song stylist whose unique phrasing “created the standards by which jazz singers are judged,” as one writer put it. Her intuition as an instrumentalist fascinates music aficionados to this day. “She was extremely sophisticated in her understanding of harmony and melody,” Wynton Marsalis, Artistic Director of Jazz at Lincoln Centre, told TIME. Frank Sinatra thought so too. After hearing Billie Holiday in 1939 at the Uptown House, he modeled his singing after hers. And when Joni Mitchell heard “Solitude” at age 9, she decided she wanted to sing. Her innovative behind-the-beat phrasing soared through time and across musical genres, the Times notes, influencing artists as diverse as James Brown, Bob Dylan and Erykah Badu. Even hip hop borrows elements of Billie Holiday’s style. Singer José James, who will be tributing Lady Day this week in New York, told the National Post Lady’s “lean-back” inspired DJ J Dilla and Roots drummer Questlove. Billie Holiday’s indelible contribution to American music will be celebrated widely over the coming weeks and months. The Apollo will be honoring Lady Day with a star on its Walk of Fame on Monday night, and Lincoln Center will be hosting a 4-day Billie Holiday Festival April 9-12. Outside New York, tribute concert tributes are planned from Louisville to Lahti, Finland. Racism, abuse, hard drinking, and drugs were inseparable from Lady Day’s suffering, and thus her art, and they are part of what make her an undying mythic figure of American culture. But on her 100th birthday, it is not the tragedy of Billie Holiday’s life we acknowledge but the courage and musical wizardry with which she articulated that suffering. 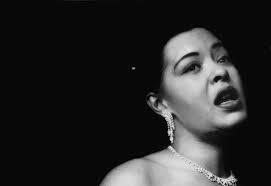 We are all indebted in some way to Billie Holiday, even if some of us don’t know it.